NOTICE: The University is currently not accepting applications to this program. The graduate program in Catholic Educational Leadership and Policy Studies offered through the Department of Education at The Catholic University of America is designed to respond to the nationwide need to prepare future Catholic educational leaders. This summer program focuses on the academic, professional and spiritual development to prepare for service in leadership positions as diocesan superintendents, vicars for education, central office personnel and principals. 41 graduate credits after an Catholic Educational Leadership M.A. Submit three strongly supportive letters of recommendation, at least one of which should be from a person familiar with the applicant's academic production and ability to do doctoral work. Submit a statement of goals that demonstrates motivation, is well written, and fits with Department's programs. Interview with the program director or designee. For candidate with at least ten years of documented administrative experience as a diocesan official (e.g. superintendent, associate superintendent, school principal) or comparable administrative role, GRE and MAT scores may be waived and, upon review and approval by the Program's Coordinator, up to 24 graduate credits from an accredited institution may be transferred regardless of the date the credits were earned. The Catholic University of America offers graduate students a wide variety of funding, teaching assistantships, on-campus employment, and research opportunities. 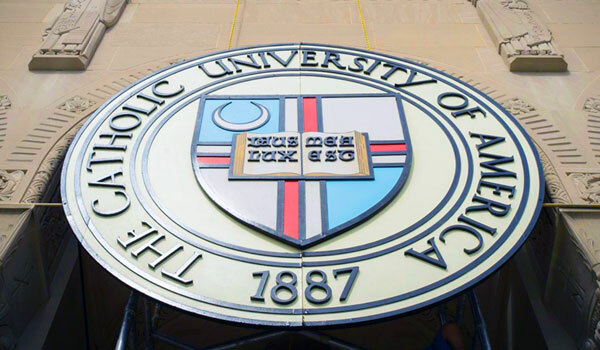 Effective August 1, 2015: Catholic educators receive an additional tuition discount at Catholic University. Any administrator (school or diocesan), teacher, guidance counselor, special educator or librarian who is currently employed in a Catholic preschool, elementary school or secondary school are eligible to receive the Catholic Educator Discount. Please contact the department and ask about the Catholic Educator Discount.